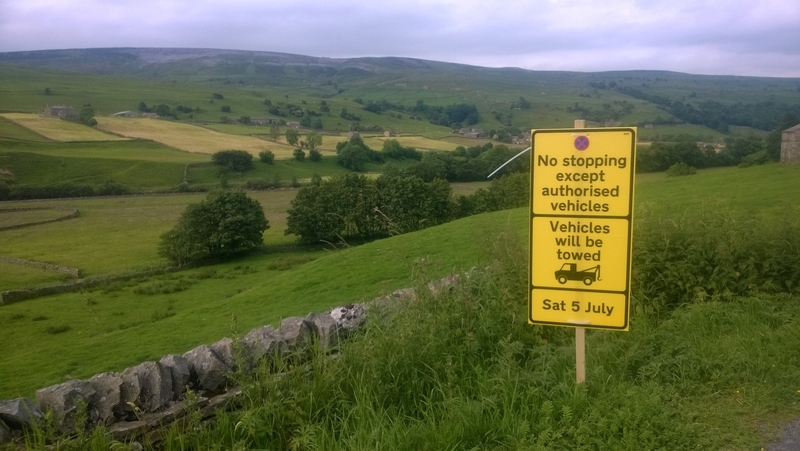 Tour de France – do they mean NO STOPPING as in … ? I love the Tour. Vehicles parked anywhere they can. Excited blokes carrying toy animals racing Nairo Quintana uphill for 50 metres! And tarmac daubed with RIBLON, ALLEZ ALLEZ, VELO = DOPÉ and PRESOAK KALERA. And it’s coming! Next week! We drove Stage 1 a couple of days ago, and it’s going to be a madly beautiful advert for Yorkshire, broadcast to a massive audience by French and Spanish and other national TVs, Eurosport, ITV4 and … ahem … BBC 5Live Sports Extra. We were driving the route not just because it’s pretty, but because we wanted to know: is our stage going to see any of that unruly, campervan action out in the middle of nowhere that makes the Tour the Tour? Where are those van owners – for whom a “spectator hub” is a weird foreign concept – going to end up? 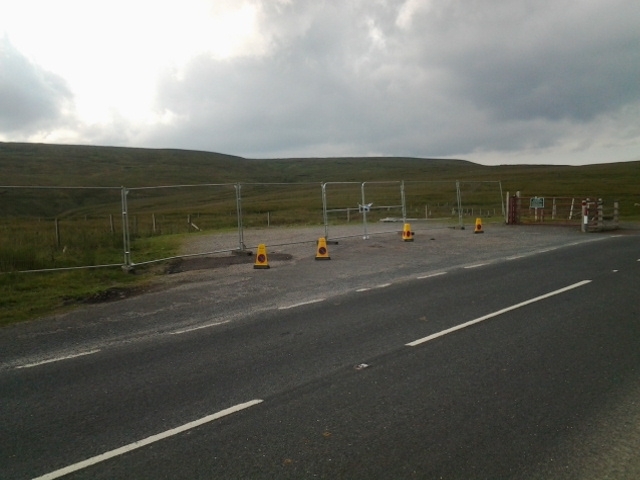 Not on the narrow lanes heading up Wharfedale, clearly. 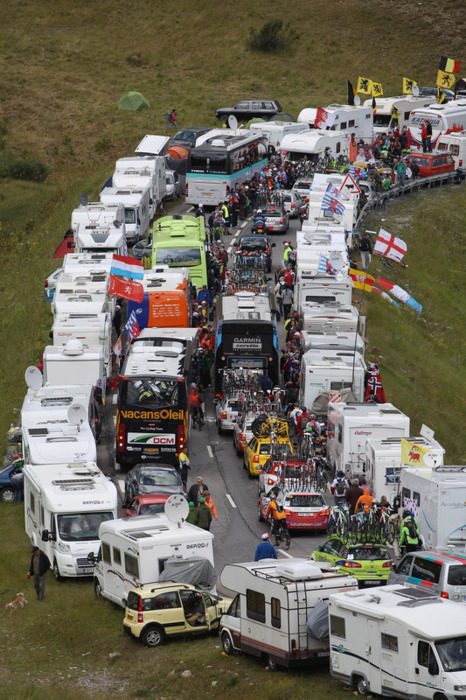 Stop the van between the dry stone walls and there’s no room for a bike, let alone a peloton of them. It’s the farmers’ fields or nothing there. 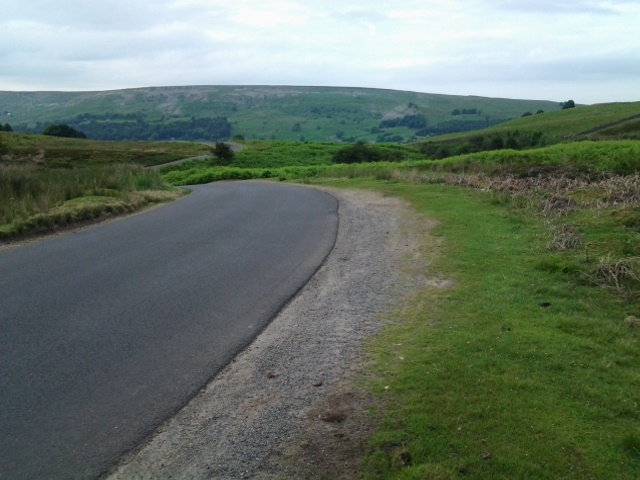 By the time we got to the top of Wharfedale things looked more promising. We thought we were pretty sure that we got the drift of those signs that kept coming at regular intervals all along the route. When they say “NO STOPPING”, they mean “NO STOPPING”, as in ‘don’t stop on the road because there’s a race coming through’. Right? At the top of the dale the land opens up, and so do the possibilities for a free-spirited campervan with a satellite dish: the odd lay-by, grass verges, newly mown grass verges and … later … rough patches of ground on the moorland roadside. We headed up into the hills from Hawes happy. Apart from this nagging little doubt. As in “NO STOPPING” & “NO PARKING” & “NO CAMPING”? Up to Buttertubs Pass, described with typical understatement by Jeremy Clarkson as England’s only truly spectacular road. On the top, by the cattlegrid, a nice park-up fenced off. Maybe it’s to mark the summit of the climb. And then there’s another one, a couple of hundred yards down the road, just before it starts to snake down the hairy incline towards Thwaite and Muker (set the Sturmey Archer to 1). You can’t see the view from the pic, but what a spot! Wonder why that’s taped off? We had a think about it in the Farmers Arms in Muker, where the sign on the black door in the background says there’s no parking because the dray delivers daily. Not sure there’s a better place to watch the race go by – apart maybe from the front door of Le Manoir … as long as no-one wants to stop you taking your pint out on to the street. 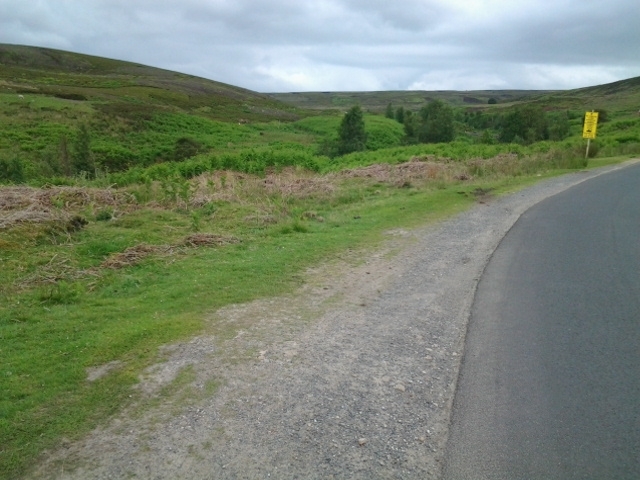 Back in the car, we press on to Reeth and up the hill to Grinton Moor. A CAV fan has been there before us. 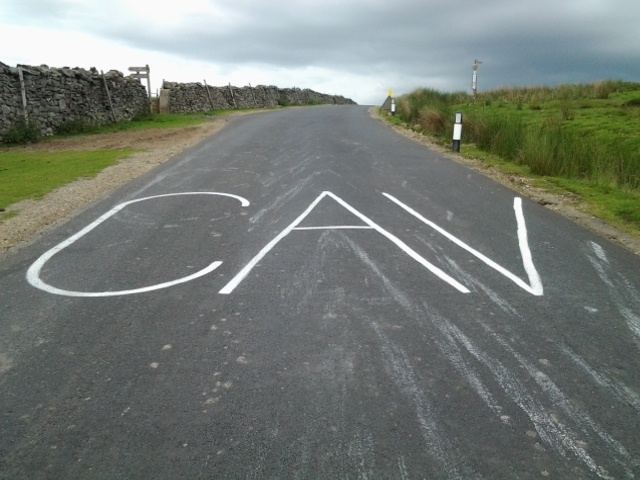 It’s one of only two signs of tarmac graffiti we see on the route. There’s time. They haven’t got here yet in their campervans. 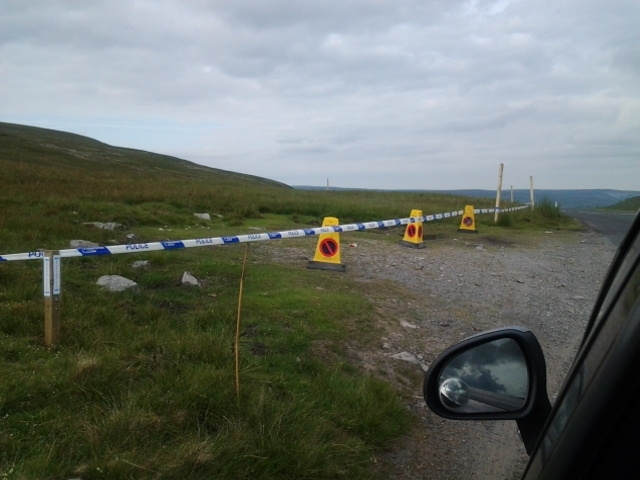 And when they get up here on the moor, the first thing they’ll see is … park-ups! Rough ground on the moorland roadside. Is that a sign there? What’s it say? From Tuesday to Saturday this week. And do they mean NO STOPPING as in “don’t stop on the road” … or …? I know the Dutch are good at English, but how are they going to know? Oh, never mind. All will be revealed. In the meantime the whole route really has been dressed up and looks a picture. Yellow bikes on walls. Yellow bunting everywhere. Welcome to Yorkshire banners with villages’ names on. And a fair few things made from straw. 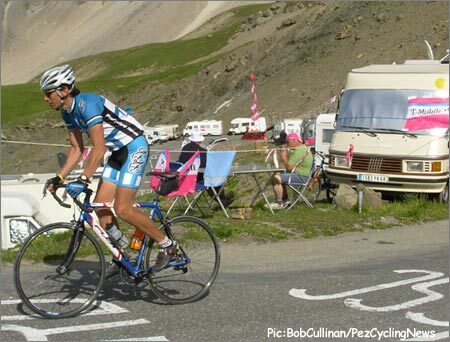 So, VIVE LE CAMPER VAN! Good luck if you’re bringing one and thinking of going off piste. 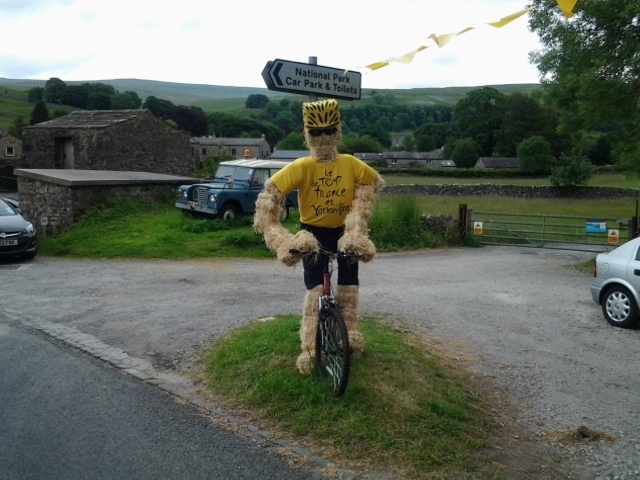 This entry was posted in News and tagged Buttertubs Pass, campervan, Farmers Arms, grinton moor, Kettlewell, le tour yorkshire, Muker, TDF2014, tour de france. Bookmark the permalink. 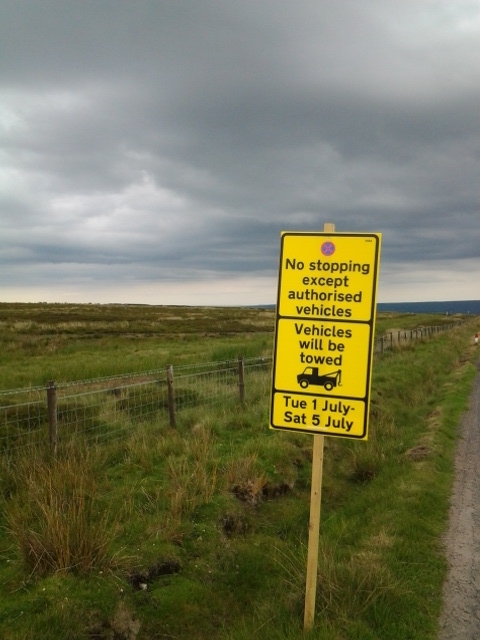 1 Response to Tour de France – do they mean NO STOPPING as in … ? forthcoming US tour. The last one got my blood boiling. Still I will catch up on how we got on in Yorkshire no doubt when I get home next week.